The Smart Add Panel dialog box lets you create a new, duplicated panel that contains specific elements that you select—see Creating Panels. Lets you select the layers that contain elements you want to copy into the new panel. 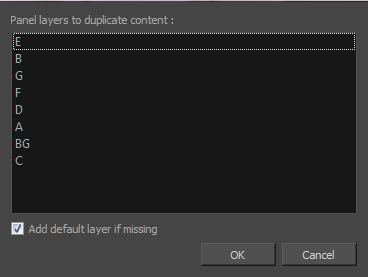 Creates the default layers in the new panel if they are not part of the Smart Add Panel selection list.